interactive CD for IWB presentation. 128 pages. Touchtronic® Numbers. 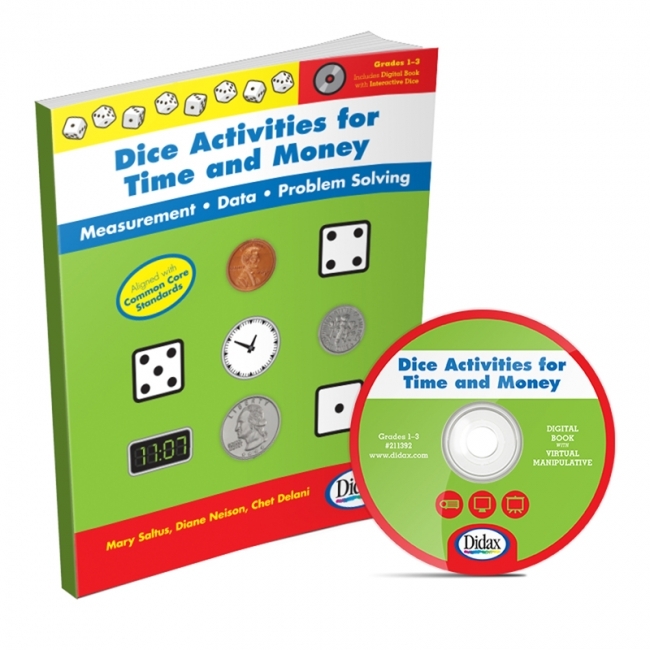 Introduce numbers, counting, matching and simple sums with Touchtronic Numbers - the first 3 D tactile math resource to interact with the iPad. Includes numbers 0-9 and 6 equation symbols, color-coded with numbers in purple and equations in orange. The supporting FREE apps (available from the iTunes store) includes games and activities for teaching number recognition, counting and place value. 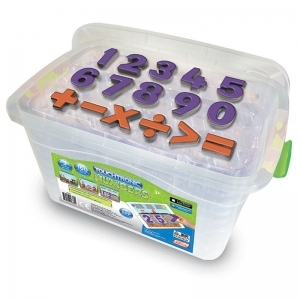 Touchtronic Numbers comes in a handy storage bag. The Touchtronic Numbers kit contains 10 sets of 16 numbers and equations for the classroom. Numbers and equations are presented on a storage tray and simply pop out for use on the iPad. 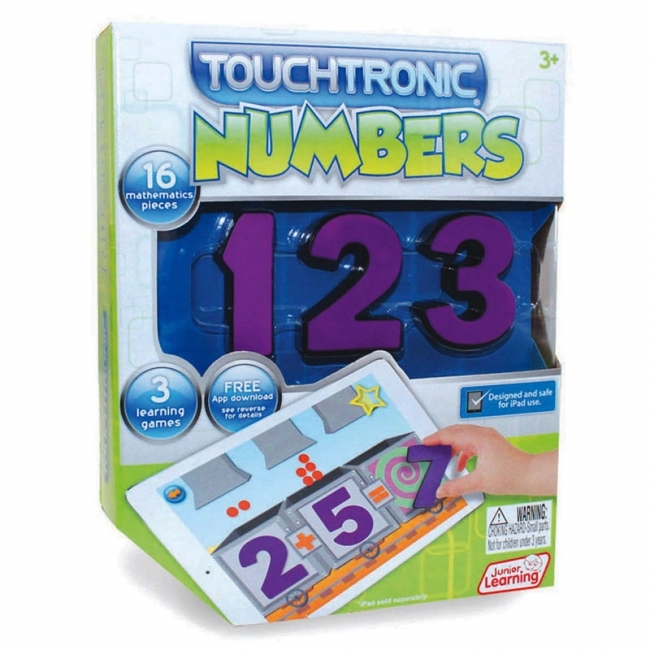 The trays make it easy for children to use the Touchtronic Numbers and for teachers to make sure they all go back into the convenient kit for storage. Ages 3+. WARNING: CHOKING HAZARD - SMALL PARTS. Not for children under 3 yrs. Can be used with iPad 2 and new versions. Not compatible with iPad 1 and iPad Pro.